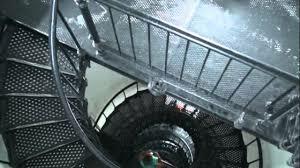 St. Augustine, Florida, has backed up quite an inventory of spooky sights since it was founded in 1565(man that is a longggggg time ago); and those who dare to enter in the lighthouse on Anastasia Island rarely return. 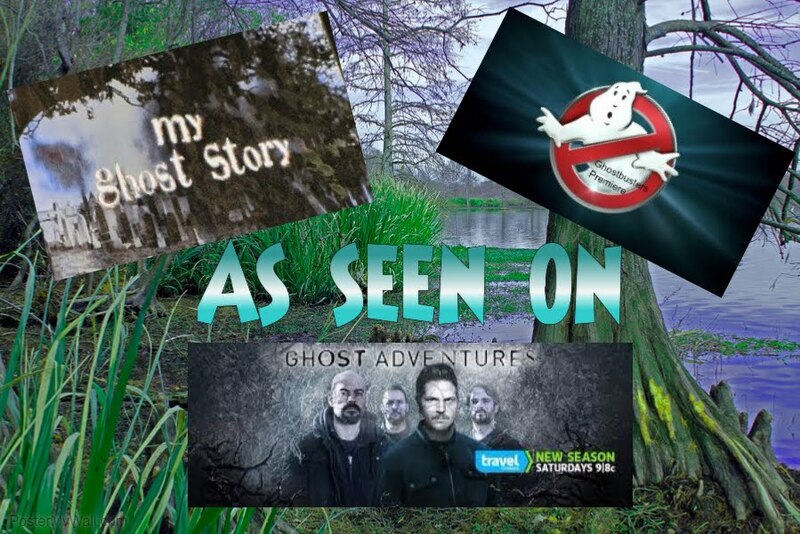 Having been featured in several paranormal TV documentaries, it might even "outshine" all the other ghostly places in the ancient city. Built in 1874 directly across Matanzas Bay from the Castillo de San Marcos National Monument, this lighthouse is the last in a line of light towers dating back to the 1500's and it's also the domain of a portal to the afterlife. No wonder St. Augustine is crawling with ghosts! The 165-foot-tall lighthouse is believed to harbor numerous souls-mostly of lives that ended within the tower or somewhere on the grounds. There are many contrived ghost stories concerning the lighthouse, among them a tale about thirteen pirates who were executed and buried on the grounds, as well as the story of a former lighthouse "owner" who remains earthbound to revenge himself on the government, which confiscated his property under eminent domain (that means they can take his land if they want to). Albeit intriguing, none of these yarns have any historical basis, so lets stick with the haunting facts. The most frequently seen phantom-usually observed on the tower's catwalk is of a little girl who wears a blue dress and a bow in her hair. People have also been unnerved by the laughter of children late at night. Investigating mediums attribute these phenomena to three young girls. Records indicate that when the lighthouse was being built, construction supervisor Hezekiah Pittee resided on the site with his wife and five children. On July 10th, 1873 while playing with a handcart on a track used for hauling building supplies, two of the Pittee children and a playmate were drowned when the cart ran off the rails and into the bay. The lighthouse is also known for its cigar smoking ghost, which some believe is an earthbound soul named Peter Pasmussen, a former keeper remembered for being very fussy when it came to managing the lighthouse. 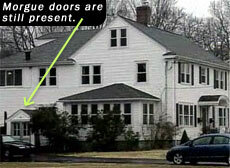 Although Rasmussen has never been seen, visitors often report smelling cigar smoke in the old fuel house and basement. Historical records indicate that several people died at or near the lighthouse, including lighthouse keeper William Harn in 1889, and the wife of another location of the present structure-one in 1853, when keeper John Carrera fell from the tower, and the other in 1859, when Joseph Andreu fell while painting the lighthouse. Perhaps one of these departed souls is the shadowy figure seen roaming the grounds or on the tower's spiral staircase, where TAPS filmed an indisputable moving human figure that mysteriously vanished as they hastily pursued him to the top. 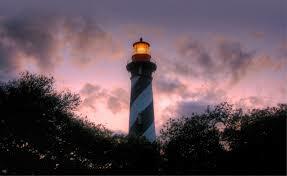 In lighthouses, the stairs are the only way up and down. Did he jump to his death, or vanish through a portal into the ethereal world? The St, Augustine Lighthouse and Museum offers you a chance to reflect on this conundrum on its Dark of the Moon after-hours paranormal tour.